It is a natural love affair. So many Irish have migrated to America for starters. And Americans have always felt welcome on the Emerald Isle. Even when the rest of the world detested anything related to the U.S. (cuz they didn’t like our politicians or our super power status) the Irish were always nice to the Yanks. 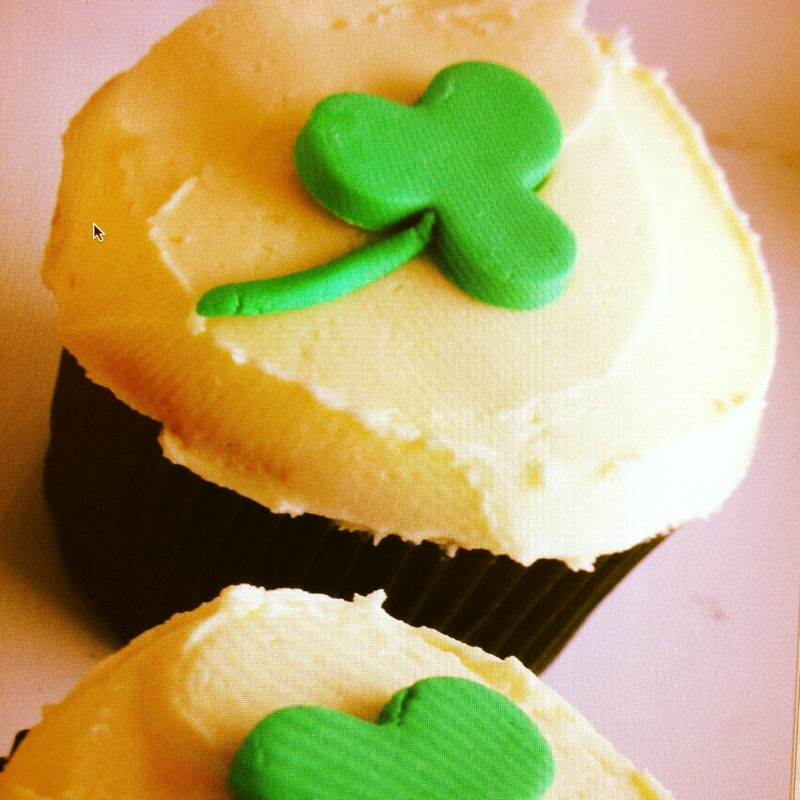 My famous Chocolate Guinness cupcakes with Baily’s Irish Cream Cheese Frosting! So delish! 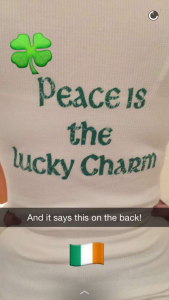 And a reminder that St. Patrick used the shamrock to teach the Irish about the Holy Trinity. St. Patrick’s Day celebrations occur all over the world. Partly because of the vast Irish diaspora. The Irish immigrants cultivated and nurtured the “Paddy’s Day” traditions in their newly adopted lands as a way to stay connected to their homeland. In my birthplace of Chicago, we even dye the river green for the St. Patrick’s Day festival to go along with all the parades and parties! Now that Hubby and I are indeed Irish immigrants over here in London I understand the emotion now more than ever. 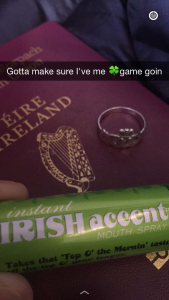 I wrote a post about being an “Emigrant”, which you can read by clicking here. So this year, while I will still don my gorgeous green gear, I will also be wearing a burning lump in my throat. I’m missing my beautiful soul land. But I am focusing on the fact that I am Irish! I am lucky to have my citizenship and connection to a small island whose national holiday is celebrated in nearly every country in the world. 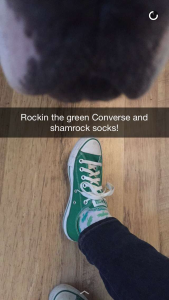 March 17th is the Greening of the Globe! Just one look at this National Geographic photo gallery and you’ll see what I mean. #proudtobeirish as the rest of the world goes green in honor of St. Patrick, patron Saint of Ireland! 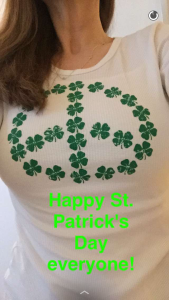 #paddynotpatty since so many people (mostly Americans) use “patty” as a shortened version of Patrick. For the love of God don’t do that! 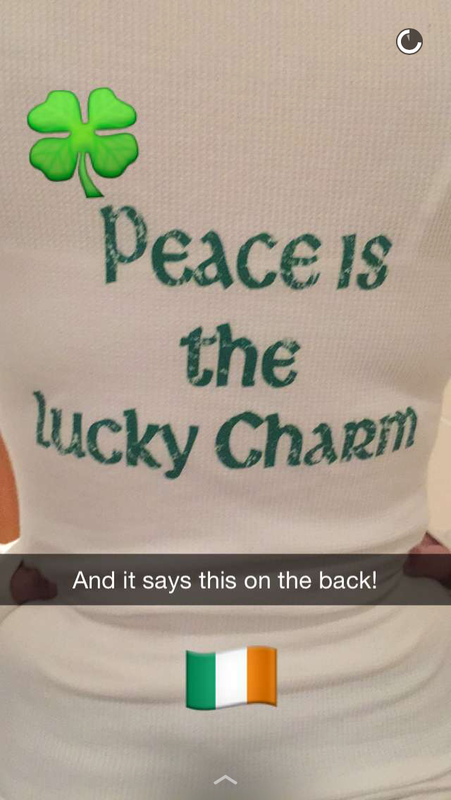 Use “paddy” or else the man himself, St. Patrick, just might roll over in his grave! 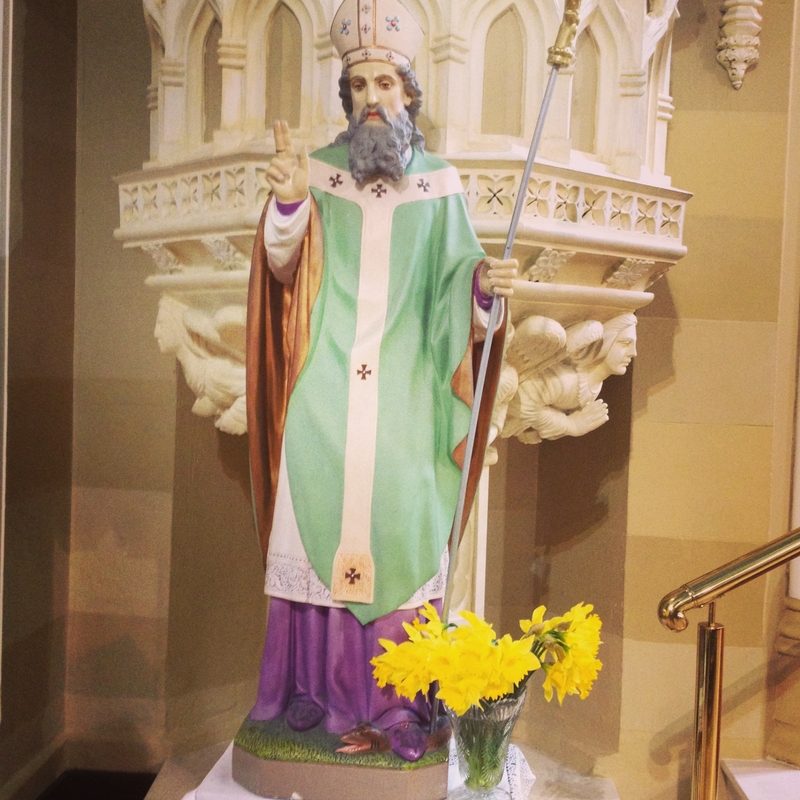 I love this statue of St. Patrick which is rolled out each year on March 17th at our former parish church in Dublin.